The Vice Chancellor, Federal University of Technology Akure, FUTA, Professor Joseph Fuwape, has charged newly admitted students to uphold the strong academic culture the institution is known for. The Vice Chancellor gave the charge during the orientation program organized for the 3500 fresh students admitted for the 2017/2018 academic session. The Vice Chancellor said that FUTA is a specialized university with the mandate of advancing the cause of technology in Nigeria and its products are known for blazing the trail in various fields of human endeavor. 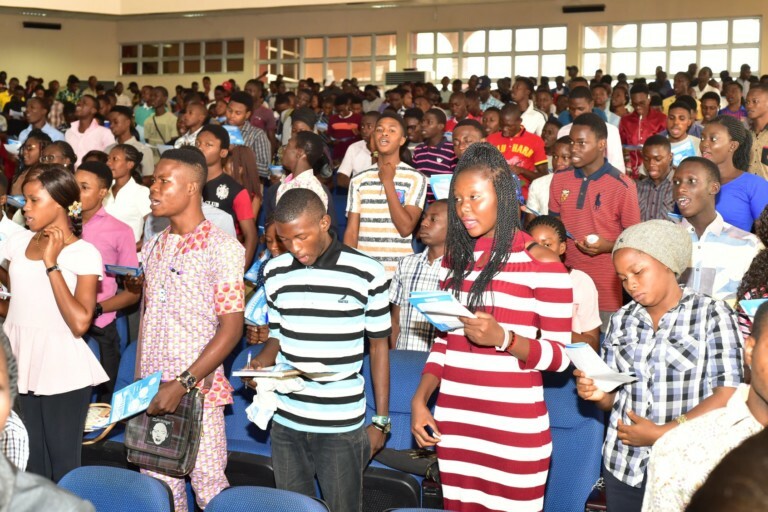 He urged the students to abide by the rules and regulations that govern student’s conduct and keep off activities that will not contribute positively to their future. Fuwape said the university is committed to its vision of being one of the best universities in the world and encouraged the students to make good use of the various facilities and academic resources to ensure a successful academic sojourn. In the same vein, the Dean, Student Affairs, Professor Gbenga Onibi enjoined the students to be law abiding, responsible and diligent. He said the onus of realizing their ambition lies solely on them and the efforts they put into their academic work. “The choices you make today will therefore be very important because they will greatly impact your tomorrow “, Onibi said. He assured the students that the university administration will ensure optimum provision of basic amenities and conducive academic environment to enable them perform excellently throughout their duration of study. The Dean admonished the students to act wisely and smartly and to organize themselves in sensible ways in order to actualize the purpose of their university education. In a goodwill message Dean of Post Graduate Studies (SPGS) and Chairman, Committee of Deans, Professor Moses Ajewole admonished the students to diligently follow the academic routes mapped out by departments, lecturers and other various organs of the university. He reiterated the readiness of the university management to support the actualization of their academic pursuit. Speaking on the topic: The emergence of the FUTA brand: Ethos, Core Values and Academic Excellence, Professor David Oke, said FUTA has evolved from humble beginnings to become a global player, in partnership and cooperation with many great institutions around the world. He urged the students to contribute their own quota to improve the university’s ranking in the league of world class universities. The orientation program featured drama, film show, selected lectures on relevant topics, and visit to places of importance on the campus.